We enjoy walking on our holidays and love to see some of Australia’s fantastic wildlife on our travels. 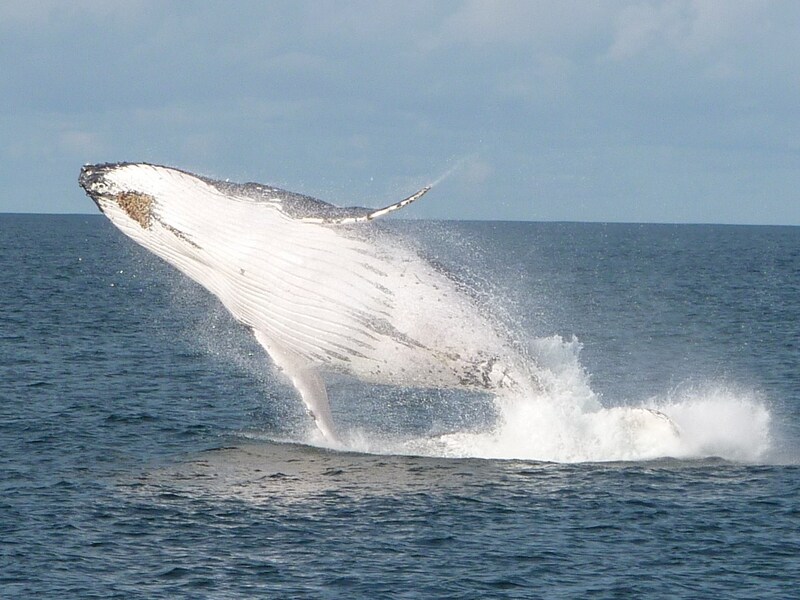 We had the most spectacular wildlife experience ever when we went watching in Coffs Harbour. Only 10 minutes out of the harbour we came across a mother and calf frolicking in the calm blue seas. We watched in awe as both whales frequently breached and amazingly I managed to capture one of these amazing leaps (thank goodness for digital cameras!). To make the experience even more amazing, we witnessed nature in action when a male whale, which the Boat’s Captain estimated to be 40 foot long and about 40 tons, approached the 2 whales that we had been watching and we could only imagine what was causing the huge turbulence in the water so close to our boat! We feel really privileged to have experienced the grace and power of these amazing animals and the memory of that day will stay with us forever. This entry was posted in (NSW) Coffs Harbour, (NSW) Port Macquarie, (NSW) Port Stephens and tagged australia, Coffs Harbour, Flynns Beach, new south wales, Port Stephens, vacation ownership, whale watching, worldmark, Wyndham Resorts. Bookmark the permalink. 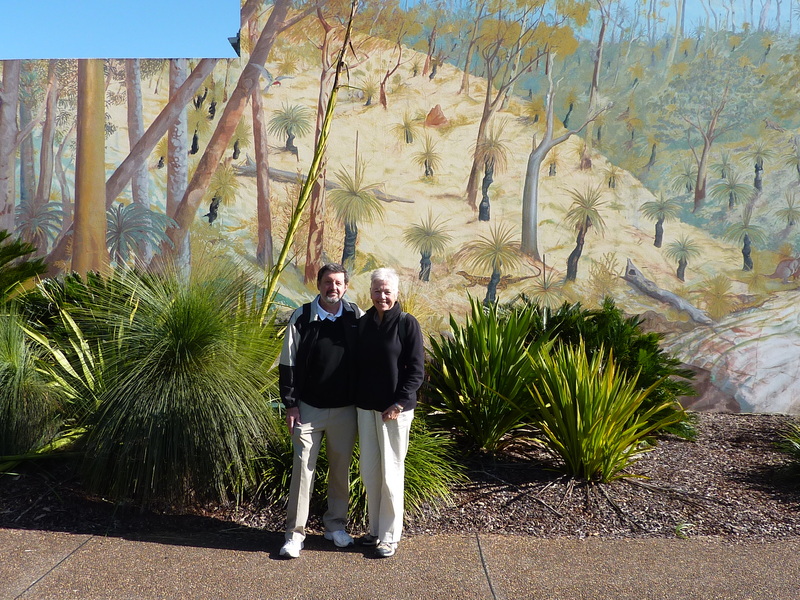 You will love staying at the Coffs Harbour Treetops resort. My daily routine is an early morning swim in the bay; some laps in the lap pool; a warm-up in the spa; and home for breakfast. In the afternoon you can walk down to the bay and head left or right – left to Korora Bay or right to Anuka Beach. Dinner is at the resort. We buy a tub of luxury ice cream and top off our dinner with a large ice cream “at home”. We only hop in the car once – to buy groceries. Don’t miss going to the aquarium.